Mirqat al-wasul is an important work of its kind. Apart from being a primary source of political and social history of Gujarat and Rajasthan, it also furnishes useful material on geography and topography rarely found in other contemporary sources. The glimpses of the cordial relations between the different communities found in Mirqat al-Wasul lead one to realise the relevance of the Sufis to preach universal brotherhood and love. Mirqat ul-wusul also provides interesting and sometimes unique information on literary activities in Gujarat. The Shaikh, himself enjoying a literary taste of high order, has referred to a number of men of letters of his time and their literary and scholarly achievements both in prose and poetry. Some of these informations are hardly found in any other source of that time. This collections of Malfuzat also bear evidence to Shaikh Ahmad's intimate knowledge of the Quran, its exegesis and Hadith. Prof. Nisar Ahmad M. Ansari, a known scholar of Persian from Ahmadabad, has critically edited the persian text of Mirqat al- wusul which is now in your hands for the first time in print form. Prof. Ansari has written a scholarly prologue to this work. He has ably dealt in detail with Maghribi order of the sufis. Its background, history and contribution to sufism as such have been authentically traced by Prof. Ansari. The life and teachings of Baba Ishaq, the founder of the Maghribi order of Sufism in India, have been described with a discerning mind. Similarly the details provided by prof. Ansari about the life and attainments of Sheikh Ahmad khattu, based on different authentic sourcs, throw new light on the personality of Shaikh Ahmed. Since Prof. Ansari has carefully and minutely gone through the text of Mirqat al-wusal, he has been able to draw the required informations to reconstruct in detail the life of the Shaikh and his contribution to sufism in general. Prof. Ansari is also successful in critically editing the text of Mirqat al-wusul. Let it be clear that the text of these Malfuzat is not an ordinary one and hance its critical edition was not an easy job. Mirqat al-wusul mainly deals with sufism and a number of religious matters. The terms relating to both sufism and religion had made the text a bit difficult. But Prof. Ansari has been able to do justice in presenting an authentic and correct text based on the manuscripts available to him. 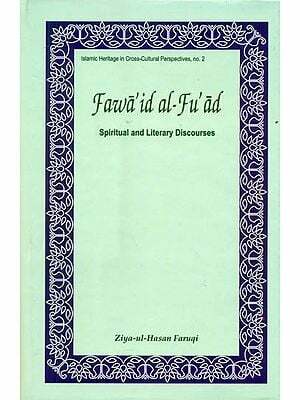 The importance of Malfuz literature compilation of utterances of Saint in their periodical meetings with disciples, followers, visitors, a sort of table talks as primary and very important source of medieval Indian history, particulary religious social, and cultural, has long been recognised. The earliest authentic Malfuz of note, Amir Hasan Sijzi's Fawaidul Fuvad, a compilation of the account of weekly or periodical assemblies of Hazrat NizamuddinAuliya of Delhi, blazed a new trail in the field of lndo-persian literature. In the wake of which fairly good number of malfuz of celebrated saints came to be complied in Bihar, Deccan and Gujarat, away from Delhi. This is understandable, because the centre of Sufistic instructions has shifted partially to provinces under the benign orders of Hazrat Nizamuddin during his life time and totally after the death of his spiritual successor Hazrat Nasiruddin Muhammad Charagh-i-Delhi. But little attempt has been made to systematically tap this important source of contemporary history with the exception of a few works, published text, or Urdu translations, mostly in the Deccan (Which are fairly well-known) and two Malfuz works of celebrated saints Shaikh Ahmed Khattu Maghribi of Gujarat-available in Urdu translations only- (almost unknown to scholars though published more than half a century ago)'. One of the reasons for this is the nonavailability of these works in public libraries and their inaccessibility in the private collections of saintly establishment and families. As a result a very valuable source of contemporary history was overlooked and also the contribution of the saints to contemporary life and society was overlooked by modern historians. Consequently, the services rendered by the saints of Gujarat to its life and society as well as to the cause of Arabic, Persian and Gujari literature has remained a closed-book to the scholars of even Gujarat. And outside Gujrat there's only except the stately account of their contribution to the origin and growth of Urdu language and literature, pieced to gather from two-three works available to them by Moulvi Abdul Haq and Hafiz Mahmud Khan Sherani. Therefore, when the historical importance of one of the two malfuz works of Shaikh Ahmed Khattu was brought to the notice of the historians through the Khuda Baksh Memorial Lecture, Patna, my teacher of a scholar of eminence, Dr. Ahmed Husain Qureshi, Head, Department of Persian, Gujarat University, Ahmedabad, suggested to me to edit this malfuz viz. Mirqatul Wusul Ilallah-i-War-Rasul for my Ph.D. Thesis. Accordingly I started the work under his guidance but the cruel hand of death snatched him away from our midst before the work could be completed. Then I sought the guidance of his successor, Professor Dr. B.A. Tirmizi. I am extremely thankful to both of them. When the work was accepted for the Ph.D. degree in 1999, Professor Muhiyuddin Bombaywala, who has evinced keen interest in the progress of the work and who is taking great pains to project Gujarat's contribution in various spheres, not only suggested that this doctorial thesis, in view of its utmost importance, be made available to scholars and people at large, but also took pains to arrange for its publication. My most sincere thanks are due to him. I am also much beholden to Mr. Nusrat Ali of Kitab Bhavan, Delhi for having undertaken its publication and brought it out so well in such a short time. I consider it my duty to thank the Chairman President and the management of Hazrat Peer Mohammed Shah Dargah Sharif. Trust and Chairman of the Library and Research Centre Committee to permit me to utilise the manuscripts in their library. The authorities of the Gujarat University, Ahmadabad, have been kind enough to permit me to publish this thesis for which I feel highly obliged. Last, but not the least, my cordial thanks are also due, to the great scholar Dr. Z. A. Desai for his suggestions and help in the course of my work. Without his interest and ungrudging help this book might not have seen the light of the day. The edited text is preceded by an exhaustive introduction, dealing in great details, with the life and teaching of the saint, as also the contents of the book. I earnestly hope that this important contemporary text, furnishing new information on the different aspects of life and society of the people of North India, particularly Rajasthan and Gujarat, in the late 13thcentury, 14th century will be found useful by the scholars of Indian history as well as general readers. It is se narrated that once a child named Ahmad was playing outside his house when suddenly a dust storm took him to a place away from his house, As he was wandering in search of his house, he fell into the hands of Baba Ishaq Maghribi. Ahamed was about four years old at this juncture of time. Baba Ishaq brought up the child with utmost care and affection. He was also brought to Delhi by the Baba to visit the tombs of the saints of the city where one of Ahmads brothers recognized him. As a result of the affection of Baba Ishaq, Ahmad remained with him till his death in 776/13 74-75 at khattu Shaikh Ahmad again came to Delhi and after twelve years of hard ascetic exercises, he went to perform Haj from where he reached Delhi prior to the invasion of Timur. He was imprisoned along with forty people in a house by the invading army. Reports of his spiritual powers reached Timur who released him with his forty co-prisoners. Timur later became his devotee and took him to Samarqand. 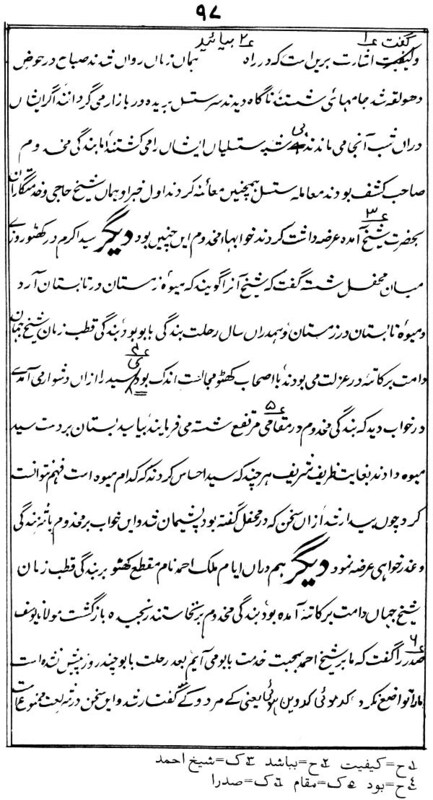 The shaikh left Samarqand to visit khurasan and Mecca and finally returned to Gujarat. 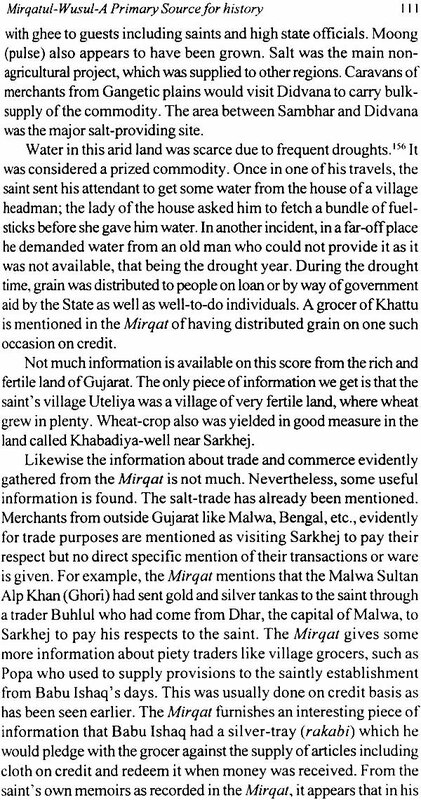 All the contemporary rulers of Gujarat were greatly devoted to Shaikh Ahmad Khattu and most of the credit for the foundation of Ahmadabad is given to the Shaikh. Shaikh Ahmad khattu (d 849/1445) was a sufi of great understanding and achievements. He also penned his observations and findings about his world of Sufism. It was simply to benefit others who wished to attain union with God, the only cherished goal of a Sufi. As has been pointed out by scholars of history, the 14th century is an important period in religious history. There was an affulgence of mystical activities from Multan in the West, to Bengal in the east and the whole of the Deccan plateau in the south where sufis, savants and learned mystics and shaikhs were busy spreading the message of love and universal peace and brotherhood. The first half of the 15th century saw the extention of the sphere of intense sufistic activities to Gujarat and the Deccan. The Sufi establishment, the Khanqahs and Jamaat - Khanas served as hospices for travellers and wayfarers and also as training centres for the novices, resounding with lessons and discussions on theology, mysticism, scholastic philosophy, ethics, morality, etc., at which the saint was the principal speaker and expounder of thoughts and ideas. The utterances of the saint (malfuz) were most covetously taken down by disciples generally with the express and tacit approval of the saint. In this way, a considerable number of saintly sayings came to be compiled in different parts of the country, truthfully recording their discourses and proceedings at these meetings or assemblies which were open to all sections of the society. Thus malfuz literature by its very nature constitutes an important non-political history source on one hand and supplies valuable material for the study of contribution to Persian literature on the other. In no Islamic country perhaps to our knowledge, this branch of theological compilation has been so extensively cultivated as in our country, especially during the pre- Mughal period, particularly in Bihar, Gujarat and Deccan. It was primarily intended to serve as a book of guidance for laymen and as a manual of spiritual instructions or code of behaviour for the disciples in particular. Obviously, the subject- matter of these works centered around the saint concerned who occupied a highly respected position in the society. As a result, they covered all aspects of life of the society at different levels and in all temporal or spiritual matters. It will not be an exaggeration to say that no branch of medieval literature presents such detailed picture of contemporary society as in the malfuz literature. While they furnish an intimate peep into the social life and behaviour of different sections of the society, they underline varied intensely human qualities of the spiritual guide.